Friendship Circle's 9th Annual Walk4Friendship will take place on Sunday, October 1st, at the Old Port of Montreal. join us and walk to promote friendship and inclusion for those with special needs. You can park at the onsite parking lot at the Clock Tower Pier 1 Quai de l'Horloge St, Montreal, QC H2L 5C1. All those who fundraise $100 or more will receive complimentary parking tickets. the exciting post walk festivities will include face painting • reptile zoo • glitter & airbrush tattoos • caricatures • circus acts • carnival games by Everblast • scooter racing • archery • pool soccer • horse hops• pizza • cotton candy • popcorn • drinks • & more! All for no charge thanks to generous sponsors! After the festivities enjoy the wonderful activities the Old Port has to offer. Anyone wearing a Walk4Friendship t-shirt will receive 50% off ziplining! 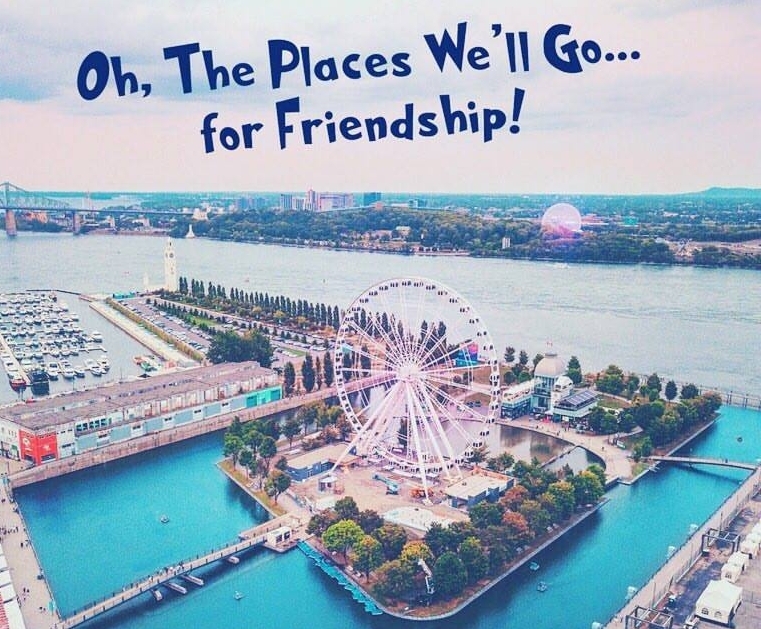 All Walk4Friendship participants will receive complimentary tickets to Montreal's new "Giant Ferris Wheel" following the walk celebration! Thanks to La Grande roue de Montréal! This year we do not have a matching funds donor! We ask you to step up and match your usual donation or give a bit more to help us reach our goal! Yes! We'd love to have you volunteer at the event. Please fill out the volunteer form and select which role would best suit you.